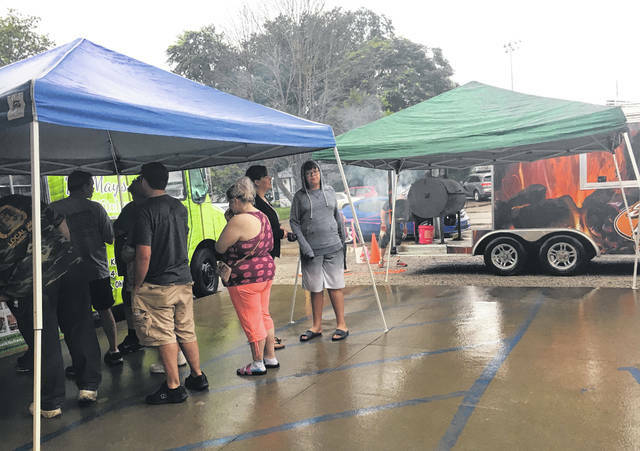 MIDDLEPORT — The rain didn’t stop people from coming out to the first Food Truck Thursday event at the Middleport Village Hall Thursday evening. The newly formed Middleport Development Group hosted the community recreational event. Tim and Edie King from King Ace Hardware sponsored the evening’s activities, which were relocated from Dave Diles Park due to the weather. “This was something our downtown group wanted to do for Middleport,” said Tim King. The food trucks at the event were Smoke ‘Em if You Got ‘Em BBQ, Dr. May’s Thai Kitchen and Kona Ice. According to King, Smoke ‘Em if You Got ‘Em BBQ prepared enough food for 90 meals and they sold out in 45 minutes. “It was a great turn out for a rainy day,” said King. 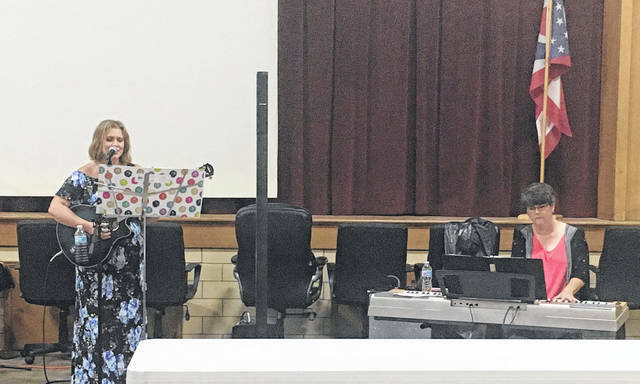 There was entertainment inside the village hall by the vocal and piano duo of Renée Stewart and Susan Page. King said the event was a success and the Middleport Development Group will continue the Food Truck Thursday event on July 19 and August 23, exact times to be determined, at the Dave Diles Park. King also said there will be more food trucks at the next event. Kayla Hawthorne is a freelance writer for Ohio Valley Publishing.